In the last post I wrote about a PDF of storybook plots that writer Shutta Crum has on her website and started looking at some ways to apply them to easy readers. In that post I wrote about rising action plots, which are more like standard adult story plots. This time I want to look at four of the plot structures in her PDF. She calls them the Cumulative or Toppling Structure, Decreasing Structure, Increasing Structure, and Simultaneously Increasing and Decreasing Structure. In episodic stories, this happens... and then that happens... and then this other thing happens, but none of it may be related except that they happened in a series. In domino stories, they ARE related. This happens because that happened, and that happened because something else happened. The other structures Shutta mentions are related in the same way. In her decreasing structure, the item decreases because first one person used it, then another person used it, and then yet someone else used it. Each use results in the item being used up a little more. The uses aren't necessarily related, but the item used is the same. The item itself is the because in the story. 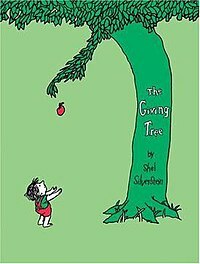 The Giving Tree is a good example. The tree is being used up until there's nothing left but the trunk... and then that has a use as well. The same is true in the increasing structure except that the element of surprise is the because. Something has happened but that's not all... this happened too, but that's not all either... that also happened. While the decreasing structure is a logical progression, the increasing structure often has no logic at all. Shutta's example is "The Little Old Lady Who Swallowed a Fly" and that's the first one that comes to my mind as well. Oh my gosh, what did she eat next? The surprise is what drives the story. Of course, her final structure combines the two -- there are two opposing stories happening at the same time. The trick is that both stories are tied together by a common element. As that element decreases in one story, it causes the increase in the other... or vice versa. Shutta's list gives a couple of examples. When using domino plots in easy readers, the different types of plots clearly have different uses. An inventive writer can always find a new way to use an old plot, but you'll see certain types of plots used frequently for certain types of stories. The first plot (the cumulative structure) probably has the most uses for a typical story. The cause and effect nature of the "dominoes" gives the story a certain amount of urgency that drives it along. You can use it for all kinds of stories, but adventures make perfect sense for this structure. If you plan it right, the "dominoes" themselves can give you a sort of ticking clock to increase the urgency. The second plot (decreasing structure) works well for fables and moralistic stories. You can see, for example, where stories about generosity (like The Giving Tree) are a frequent use for this type of plot. The third plot (increasing structure) often has an air of silliness about it. It comes from that element of surprise -- the sillier the next step is, the more surprising it is. And the fourth plot (the combination of two and three) can be both silly and serious. It all depends on how you want to use the common element. Domino plots are great for easy readers because they're very straightforward. The simple logic is easier for new readers to follow. And because we're all exposed to so many of them growing up (as I mentioned, classics like Homer's Odyssey and even some classic cartoons are domino stories), domino plots are often easier for a writer to create.